Do you like Gats.io? Share it with your friends. 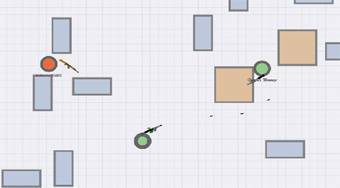 Gats.io is another great multiplayer shooter from the popular .io games series. Choose one of six weapons, one of three types of armor and then play. Play around obstacles, kill other players around the world, and try to score as many points as possible.